With over a decade of experience speaking to audiences worldwide, Amelía offers down-to-earth spiritual guidance via workshops, panels, conferences, summits, radio shows, print, and online media. Her mission is to help people reclaim their sovereignty, to protect psychic children, and magnetize soul groups. If you would like to bring new spiritual insight and guidance to your audience, read below for more info about her past endeavors and possible ways that you can work with her. Amelía Aeon Karris has been a way-seer and trend-setter throughout her career spanning technology, fashion, entertainment, intentional community design, and spirituality. In 1994 she co-founded one of the world’s first web design companies before the public had even heard of email. What began as introducing people to cutting-edge virtual reality and artificial intelligence has evolved into awakening people to their multi-dimensional natures. Divine guidance has lead Amelía to live a purposeful life at the edge of our collective evolution. Her entrepreneurial ventures lead her to Japan and India where she spent a decade working with those nations’ elite business and spiritual leaders. She has seeded eco-communities in the USA and India, instilling her expertise in permaculture and community governance, and continues her consulting with intentional communities today. Amelía received a BA in Consciousness, Healing, and Ecology and has apprenticed in a number of mystery schools. Her powerful healing abilities and clear vision were forged during a series of spiritual initiations over a nine-year period that honed her multi-sensory awareness and unique voice. Her extensive past-life recall was noted in India, first placing her on national TV and later addressing live audiences of as many as 60,000 spiritual seekers. Over the last decade – through public speaking, teaching, and private counseling – Amelía has helped thousands of people to liberate their minds, navigate expanding realities, and live out their divine destinies. Her mission is to wake up humanity’s sleeping potential, protect psychic children, and traverse our present massive shifts in consciousness. 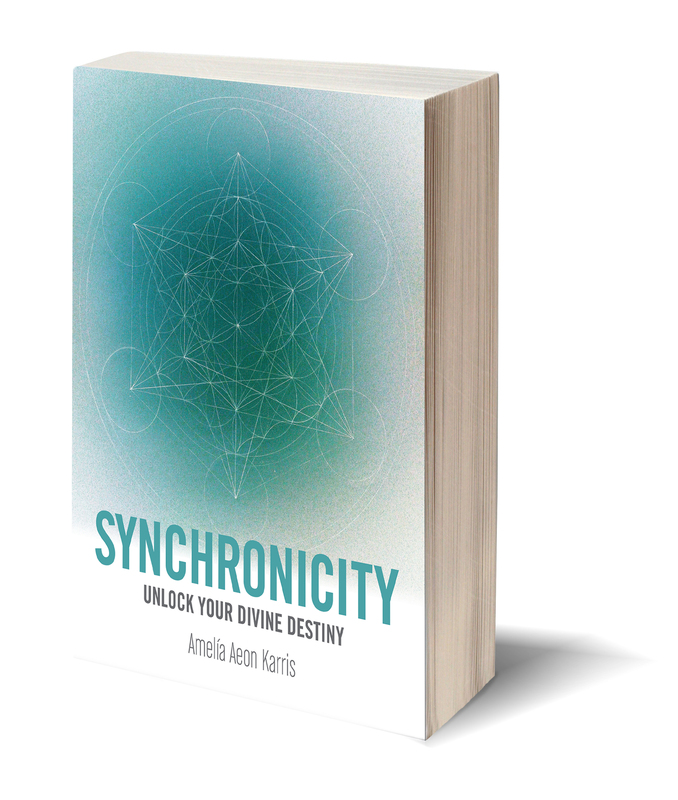 Synchronicity: how to listen, follow and track synchronicity. Where is it leading you? Why does it happen? How do you interpret the signs? Find Your Life Purpose: Why did you come here at this time? How do you figure out your true life calling? Living your life with meaning. Spontaneous Awakenings: Kundalini awakenings, Dark Night of the Soul, Shamanic Initiations, How to continue your life after you have heard the call of spirit. Rebirth & Renewal: Picking up the pieces of your life after a major life transition. Responsible Anarchy: How to become friends with your rebellious instincts. How to transmute anger into a force for healing. What it means to be a Spiritual Warrior. Gifted/Psychic Children: How to parent a very sensitive and awake child. Dealing with the fear of the paranormal. Paranormal Phenomena & Visitations: How to make sense of bizarre and strange occurrences. How to cope with the massive change they present. How to remove the fear and become more curious. How to develop your gift of seeing. Would you like to interview or feature Amelía as a guest expert? Click here to fill out this quick form and we’ll be in touch! World Water Day Telesummit – The Shift Network March 2015: Amelía joined the show live from Oakland’s Bless the Lake event, other panelists included on the telesummit were Deepak Chopra, Michael Bernard Beckwith, Grandmother Mona Polacca, Gregg Braden, Ocean Robbins and Swami Beyonananda. This event was attended by hundreds of thousands worldwide. Is your audience seeking a real conversation? Amelía Aeon Karris brings a unique perspective and a wide variety of experiences to share the power of synchronicity and how to become responsible anarchists.